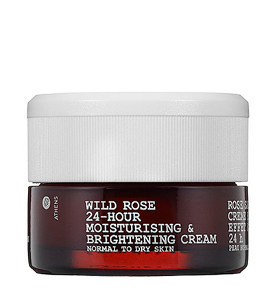 Moisturising and brightening cream, with Wild Rose oil, a natural source of Vitamin C, helps repair the look of fine lines and skin discolorations. Wild Rose Oil: A natural source of vitamin C, helps to reduce the appearance of fine lines and skin discolorations. Imperata-cylindrica extract:This desert plant is known for its ability to provide continuous moisturization by regulating the moisture equilibrium.